Here at Mirrors, Marble and More, we take pride in each and every job. We also understand that your house and time is important- we will do our best to plan accordingly and work with your schedule to ensure the job is completed within your specifications without causing trouble with your normal habits, such as getting ready for work in the morning. The owner of Mirrors, Marble, and More- Paul Powell- ensures that you feel comfortable with his staff and services in order to offer you worry-free work. Paul leads each job himself, which further let's you know that you will be getting quality work. He can provide a free and clear background check to show you that you are not inviting anyone undesirable into your home. Paul prides himself on offering you better service than a do-it-yourself type company or that of a handyman or non specialized contractor. He can discuss the scope and your interests before the project starts, and ensures that the end result will be professional and to your specifications. Paul also offers warranties on the work, which allow you to use your new products worry free for a number of years without having to make major fixes (which often happen when you see non-professional work). Mirrors, Marble, and More will make every attempt to be punctual and work within your set hours- meaning that if you have something to do at 4 PM and we need to be out of your way, just let us know. We will also keep your place clean- no muddy foot prints, no dusty hallways, no piles of cellophane or drips of glue. Paul personally cleans up each "job site" at the end of the day, ensuring you have full use of the area if the type of construction permits. Paul will also leave you with necessary instructions if a work area needs dry time or air flow in order to finish setting up. 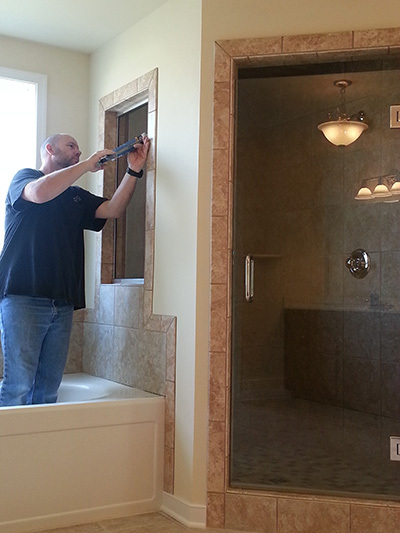 Paul is a specialized installer of a wide variety of products which include top end bathroom shower enclosures, mirror, and marble counter tops. He has been in the industry for 18 years, maintaining both self-employment and contract employment with other providers. 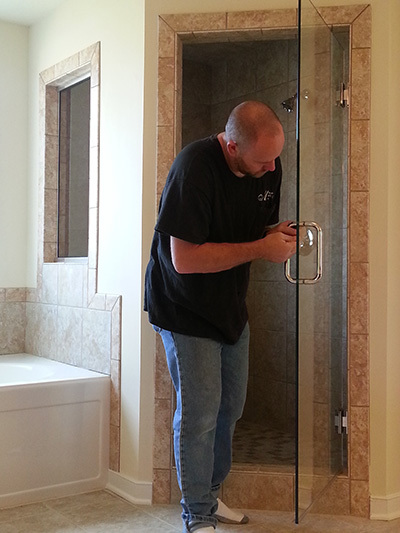 He first decided to create his own company in order to offer his customers a better quality job than he saw typically offered by large installers. He also wanted to offer a wider variety of configurations, some of which you can see on the portfolio page.